If you missed my last blog where I listed a few interesting gadgets I'd found on my travels, you can see it here. As I'm still sporting some heavily overclocked DDR2 in my main rig at home, I've been worried about how hot it gets so I've been looking around for a few products that might set my mind at ease. 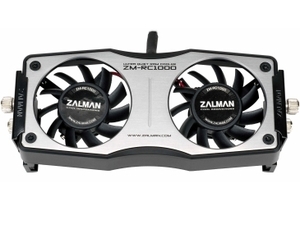 In my experience, RAM coolers are noisy, but this one from Zalman not only claims to cool your RAM better out of the box than several other fan assisted coolers, but it also includes a 5V reduction cable. 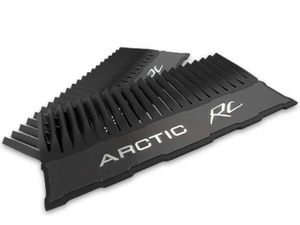 Hopefully it should provide a good way of cooling overclocked and overvolted DDR2 although if you have DDR3 you probably don't need to bother. I actually picked up a set of these little jobbies from Arctic Cooling a few weeks ago and they've worked a treat and were easy to install. Simply remove the stock heatsinks from your RAM and replace them with these - they have self adhesive and stick right on. The ends were toasty warm pretty quickly while the stock sinks on my Kingston PC8500 got red hot and clearly struggled to get rid of the heat. Something else I was worried about were the RAM chips on the back of my water cooled GTX 280. I've used the Watercool Heatkiller GPU block which unfortunately doesn't come with a backplate to cool the RAM there and it gets very hot indeed. 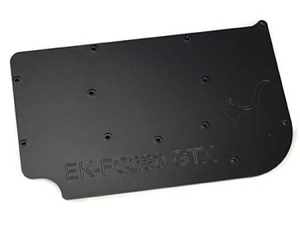 If you don't mind a little modding (and I didn't) then I found it was possible to mod an EK Waterblocks GTX 280 backplate to fit any GTX 280. See my efforts here and you can get the backplate here. 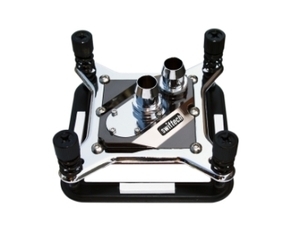 A big release for the watercooling community last month was the Swiftech Apogee XT waterblock. It's a stunning piece of kit that caters for those who want low impingment as well as those who want to use large compression fittings. It's a bit pricey but if early results are anything to go by, it's the new king of the hill. Finally I thought I'd end with an old classic - Arctic Silver ArctiClean. 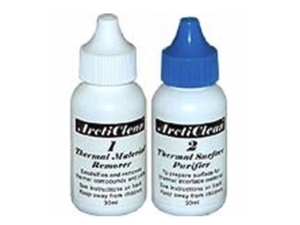 This stuff comes in kits of two bottles, one eats through old TIM and gook better than anything I know, the second bottle cleans and purifies the surface ready for your paste. Fantastic stuff, lasts for ages and should be in every modder's drawer. That's it for now - if you have any little gems hidden away that have served you well over the years or maybe something new that's great as well as shiny, let me know.